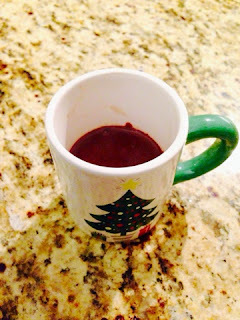 it's my girls' world: Thick & Creamy Hot Chocolate! I've never been a hot chocolate fan--- even as a kid…. So weird, I may or may not have a serious chocolate addiction obession fancy but hot chocolate has no appeal to me in any which way. One day however, my girlfriends and I went to Marrakesh, this amazing chocolate shop in Toronto and I had their dark sipping chocolate… It seriously tasted like the inside of a Lindt chocolate… and I could not stop drinking it--- I couldn't sleep that night from all the caffeine but I digress. Combine milk, cocoa, sugar , vanilla and cinnamon in a large saucepan. Cook over medium heat, whisking often, until steaming. Continue to cook, whisking constantly, until it comes to a boil, then remove from the heat. Note, it's not exactly like hot chocolate… It is way more chocolately and much thicker… It does have that melty consistency of the Lindor Truffle. It was very decadent and a perfect chocoholic's fix! I would recommend a highquality cocoa though like Ghiradelli although my Carmino Fair Trade cocoa was pretty great too. And wait for it…. according to Eating Well, it's less than 100 calories (with skim milk), low carb and contains 1 gram of saturated fat. So as the weather goes to sub zero cools down, I highly recommend this for a perfect warm, easy after dinner treat! This is my kind of thing! Yum! That is way better than the box stuff! Yummy! I love making hot chocolate from scratch. So much better than the powdered kind. Yum! 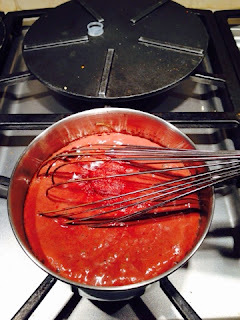 I always think to use corn starch to thicken sauces and soups but not hot chocolate! It sounds sooo good. Wow - that looks so rich and decadent! It's the perfect recipe for this time of year - thanks for sharing! Yum, we love hot chocolate in this house, especially on a cold day. Thanks for sharing your recipe. 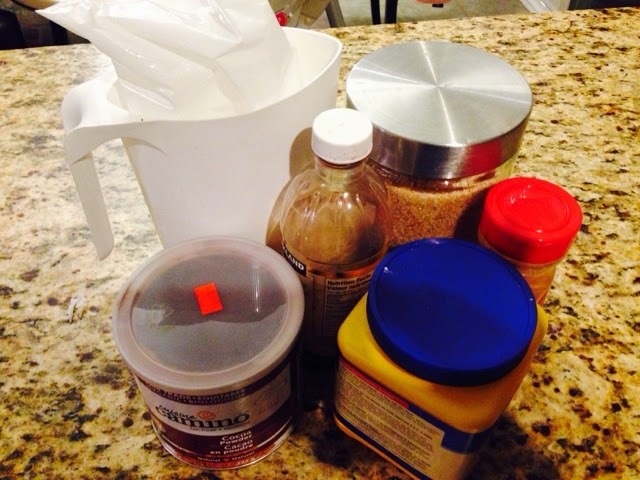 I love hot cocoa, but have never used corn starch in it before - great idea and I'll definitely give it a try!